While I was going through the new books section at the local bookstore, I noticed that (once again) a new book had arrived from John Grisham. There was a time when I read most, if not all, of Grisham's lawyer dramas so I took a natural interest. After a few minutes of googling whether or not it might be any good, I found that most reviewers had high praise for Sycamore Row, likening it to Grisham's earlier work. Reason enough to read it, I thought, and ordered the book to my Kindle. 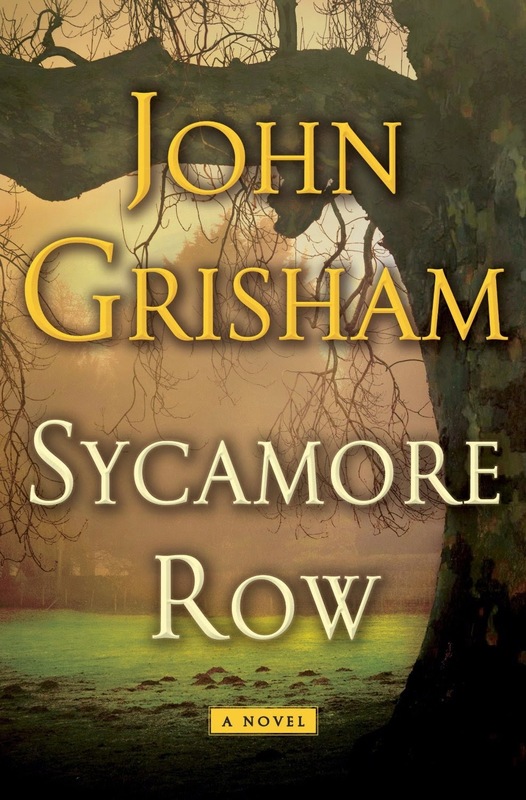 If you've read any of Grisham's earlier work, you'll feel right at home with Sycamore Row. The places, people and themes are all more or less familiar from other books. There is Jake Brigance, the rogue defense lawyer from A Time to Kill. There is Harry Rex, the 300 pound divorce attorney who drinks beer for breakfast and so on. Grisham is mostly treading familiar territory, and most of it is not bad. However, I did find the ending predictable and dim. In my mind, it is not realistic enough to feel powerful or complex enough to shock you. To me it felt like Grisham took the easiest way out, concerning both the story line and character development. Especially the set pieces felt fabricated and obvious. That said, Sycamore Row has a lot going for it too. The writing is superb (most of the time) and as with all of Grisham's novels, the setting and characters are wonderfully crafted. I especially enjoyed the first half, where the narration had the time to set up the plot and elaborate on some of the more interesting side characters. Overall, it was a worthwhile read, even though I did feel a little bit cheated by the ending. "Everyone goes home happy"-endings are not for 2014.